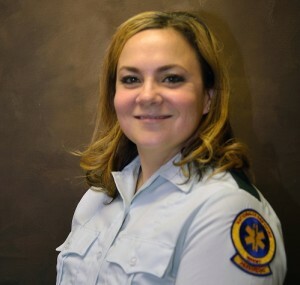 Sarah Young was selected as Acadian’s 2016 Paramedic of the Year for its Louisiana/Mississippi operations, and has been employed with Acadian since March of 2014. She is stationed in Baton Rouge, Louisiana. Born in Juneau, Alaska, Sarah later moved to Washington State and began her EMS career at a fire-based EMS service. She attended paramedic class in Idaho. When she travelled to Baton Rouge for her clinical ride time, she soon decided that she wanted to make Baton Rouge her home. Sarah has an amazing attitude and is a great employee and clinician. She sets the tone of the day by leading by example. She is a great leader for her co-workers and is a mentor every day on the job. As a safety and wellness committee member, Sarah is also a strong advocate for EMS safety. When not working, Sarah enjoys spending time with family and friends, cooking, and loves being outdoors.